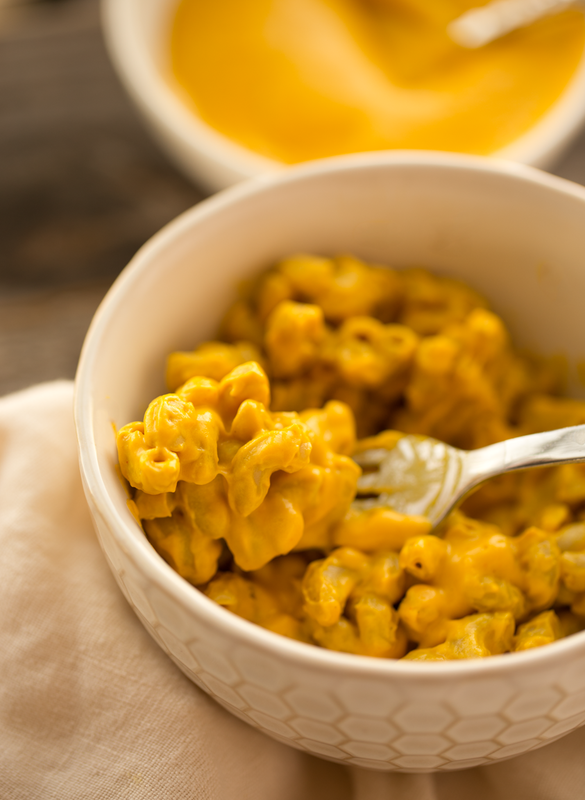 Creamy Vegan Cheez Sauce! 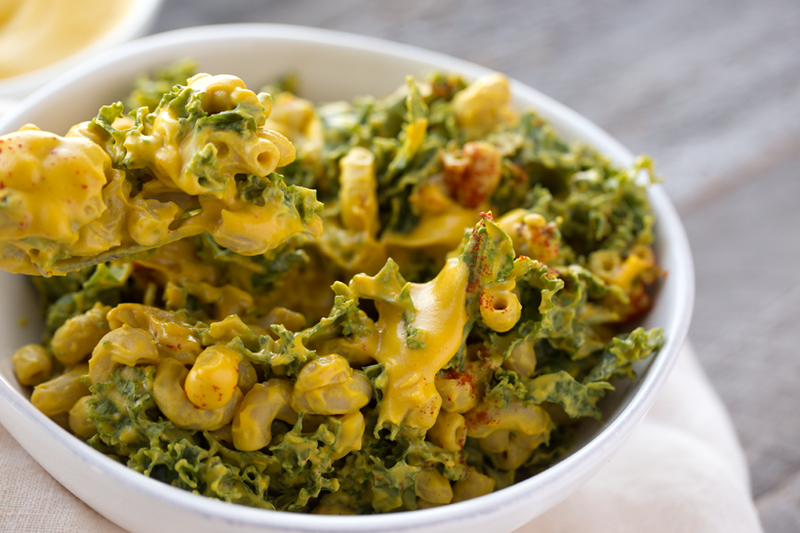 For Kale Mac 'n Cheese, Potatoes and More. Comfort food in summer? During a heatwave? Yes! This is actually a really great recipe for summertime because it only requires some stovetop cooking for a complete meal. Plus it can be whipped up in minutes leaving more time for ping pong playing, summer sprinklers, pool splashing, beach adventuring, sunset strolling and firefly frolicking. 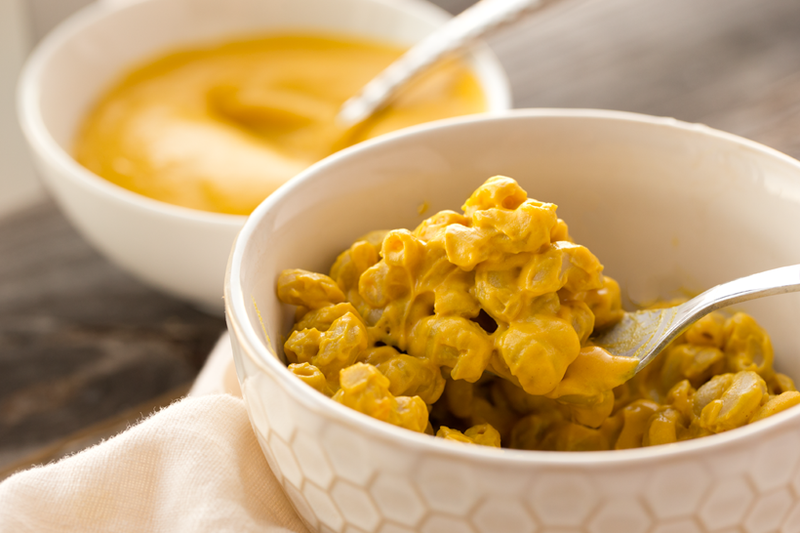 This recipe for Creamy Vegan Cheez Sauce is perfect for a wide variety of dishes. I used it to make vegan Mac and Cheez with kale. 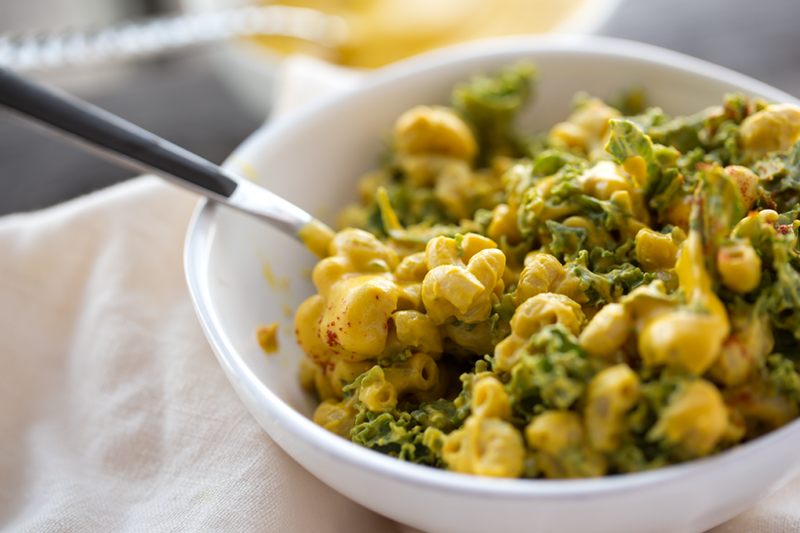 It was such a delicious dinner that combined loads of leafy greens with creamy, dreamy, cheezy pasta. The next day, I used the cheez sauce leftovers on top of some vegan chili with skillet plantains and hot sauce. Yum! You could also use this sauce as a topping for baked potatoes, steamed or roasted broccoli or cauliflower and much more. Get it!.. 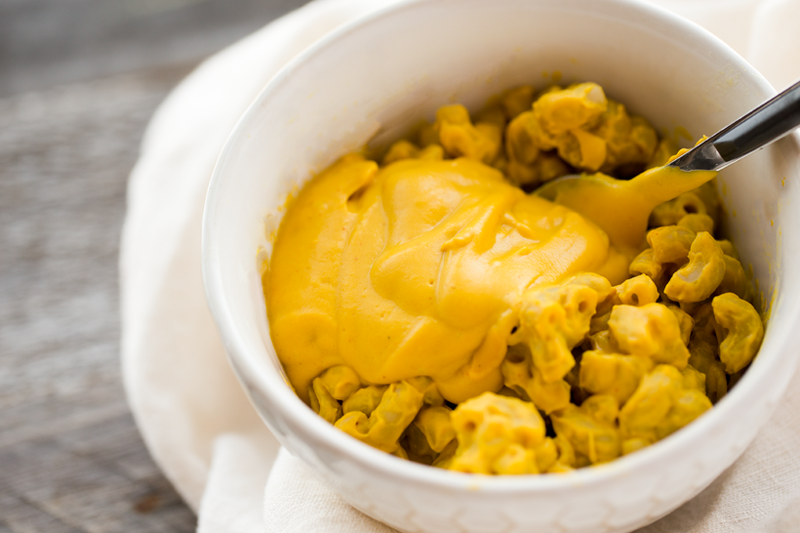 Dairy-Free Cheese Sauce. 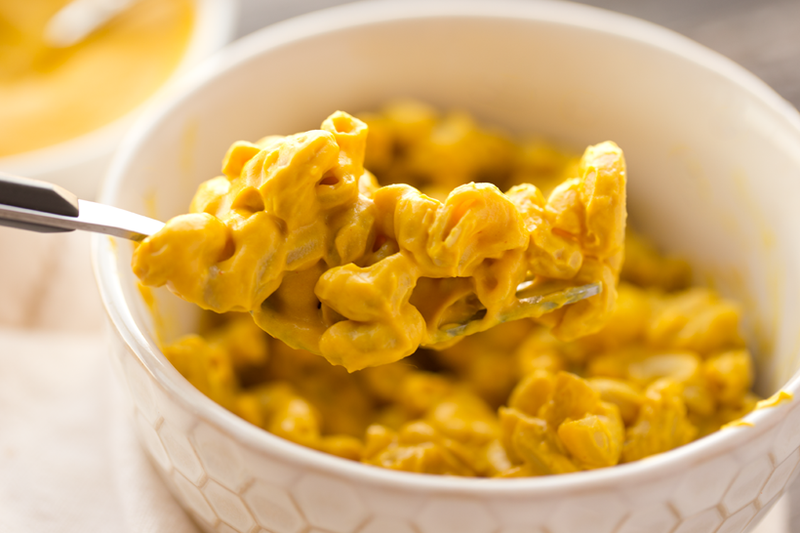 Each creamy, velvety, cheezy spoonful is loaded with flavor and good, healthy ingredients! Sweet potatoes for fiber, vitamin A and natural sweetness. Protein, fiber and iron rich beans. Healthy fat cashews. 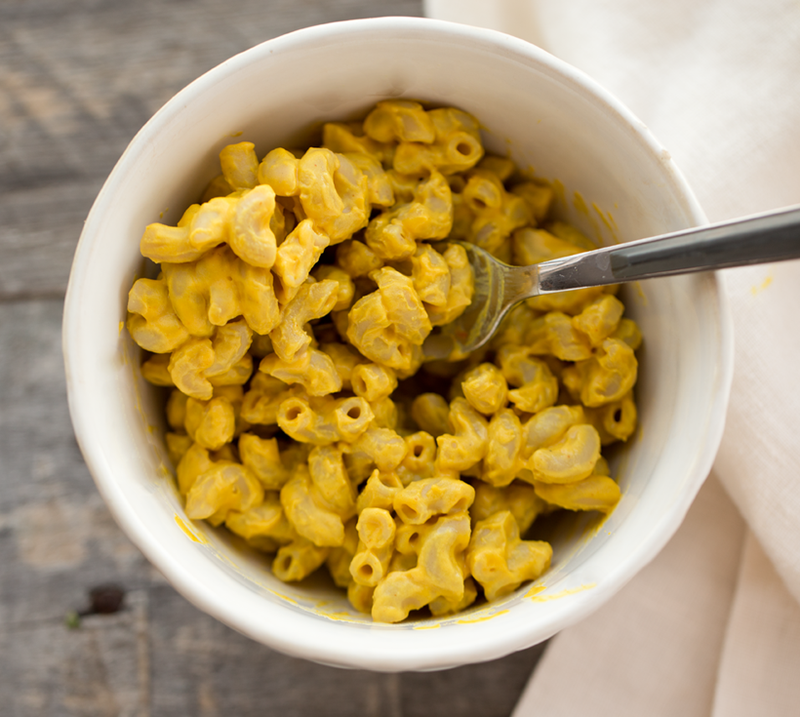 Nutritional yeast, packed with cheezy flavor, B vitamins and protein. 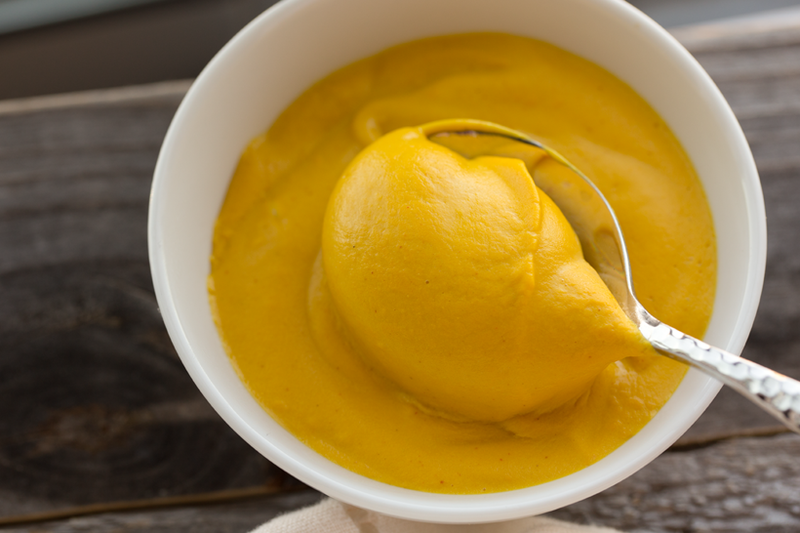 Anti-inflammatory turmeric and more. 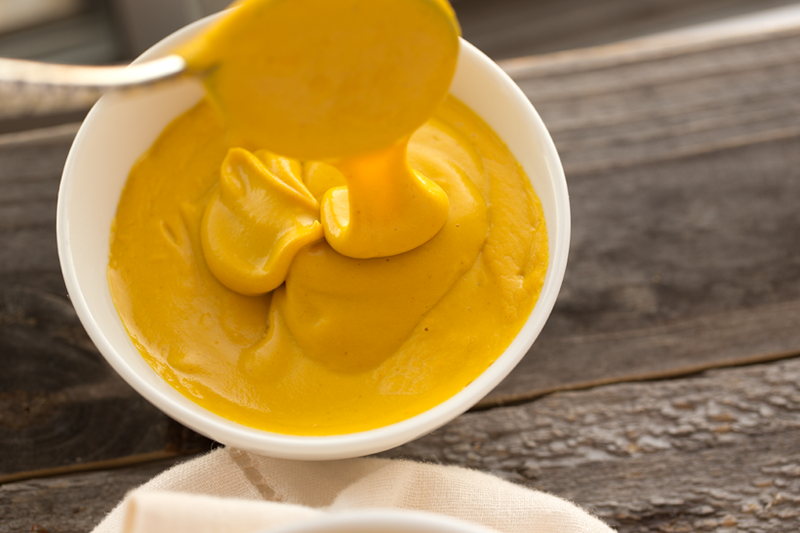 This sauce blends up super creamy and rich.. I loved it with loads of kale! It tasted like Kake Chip Mac and Cheese!.. 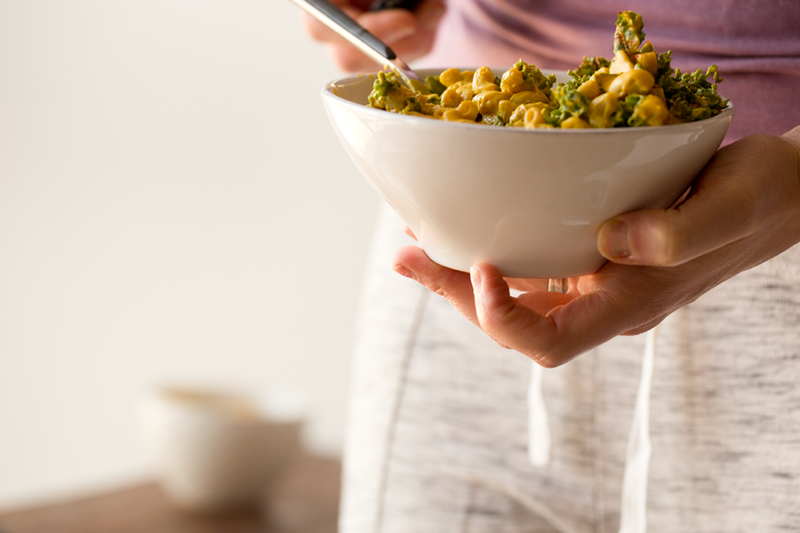 Sooo much cheezy kale pasta goodness in this bowl. 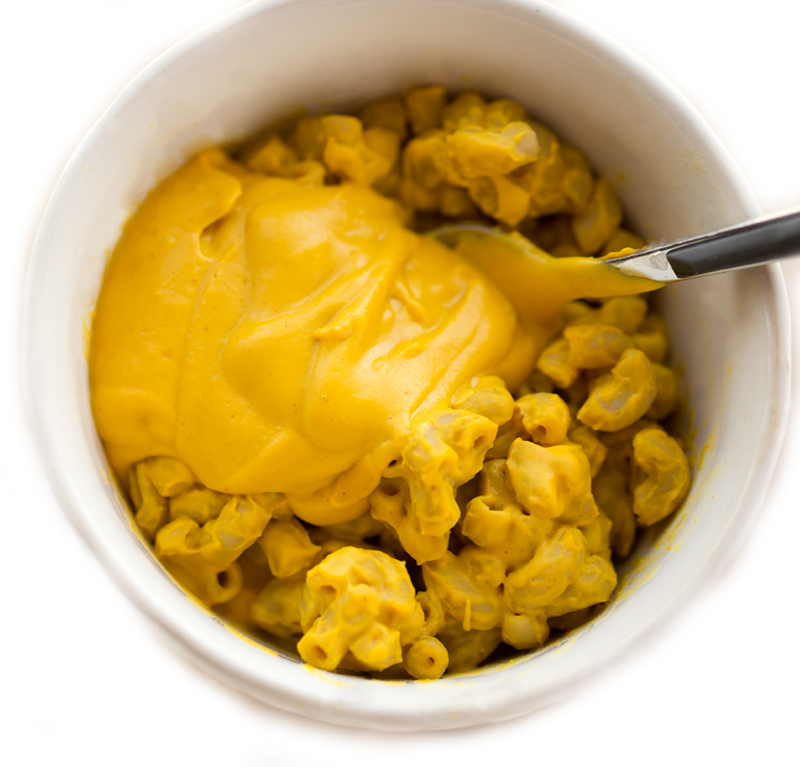 This super creamy cheezy sauce has a mild spiciness and sweet cheezy creaminess that everyone will love. Use it for pasta night, baked potatoes or even nachos. 3/4 cup soaked raw cashews -- quick soak ok! Bring a large pot of water to boil and add the sweet potatoes. Boil until tender. If you do not have pre-soaked cashews you can use this trick: add the cashews to the boiling water about 4-5 minutes before the potatoes are done. This will quick soak and soften the cashews for blending. Drain the potatoes and cashews and add them to a blender along with the beans, warm water, nutritional yeast, vegan butter and spices and garlic. Blend from low to high until super silky smooth. add more spices, nutritional yeast and salt to taste. 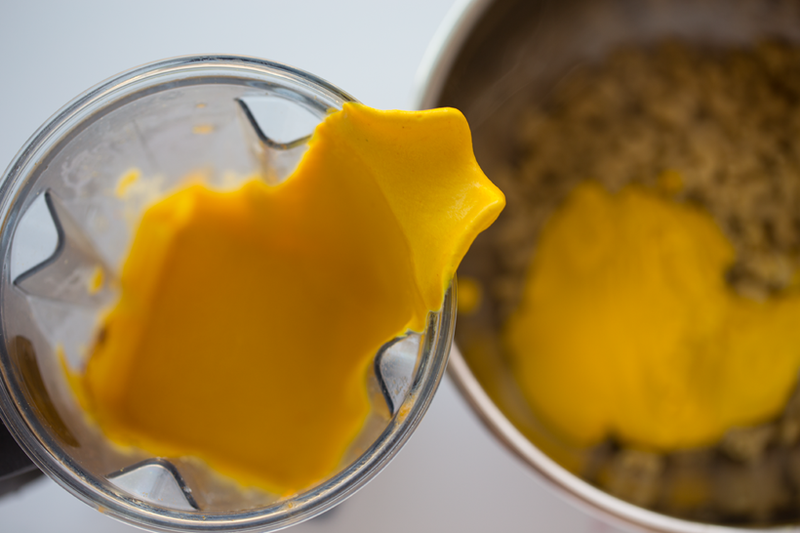 I like to keep blending on high for a few minutes to warm up the cheez sauce. My Vitamix, on high speed, will heat up the sauce nicely in just a few minutes. 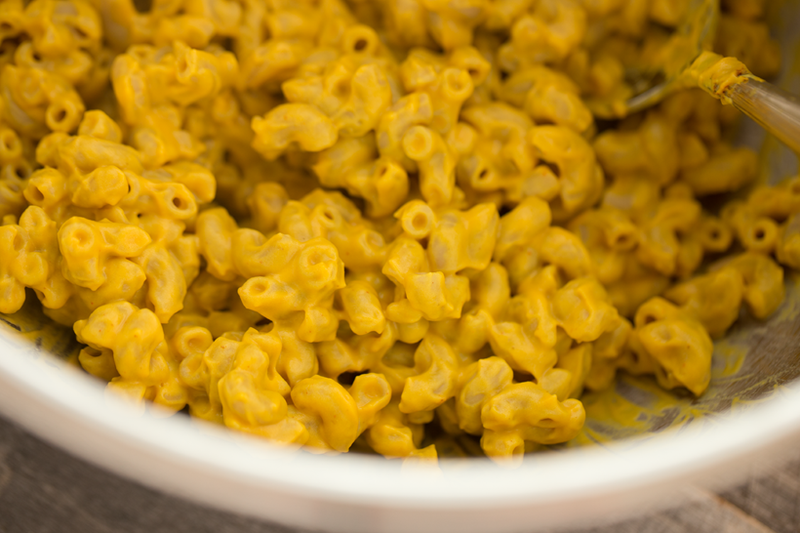 Then I use the sauce as desired -- for Mac and Cheez or potatoes or dolloping on just about any veggie! I also love this sauce on vegan chili. 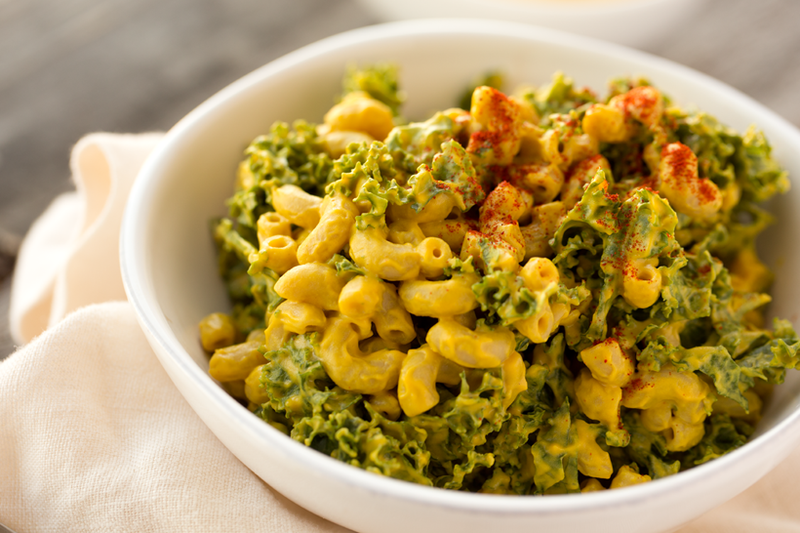 If serving as mac and cheese, try adding veggies like peas, broccoli or kale and add a pinch of smoky paprika on top to serve. 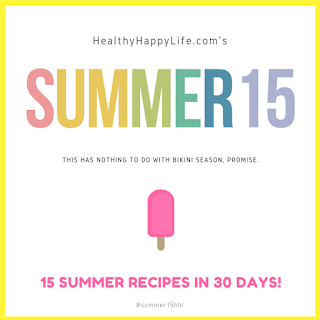 This is recipe #11 in the Summer 15!.. 1. Corn Fritters with avocado salsa.